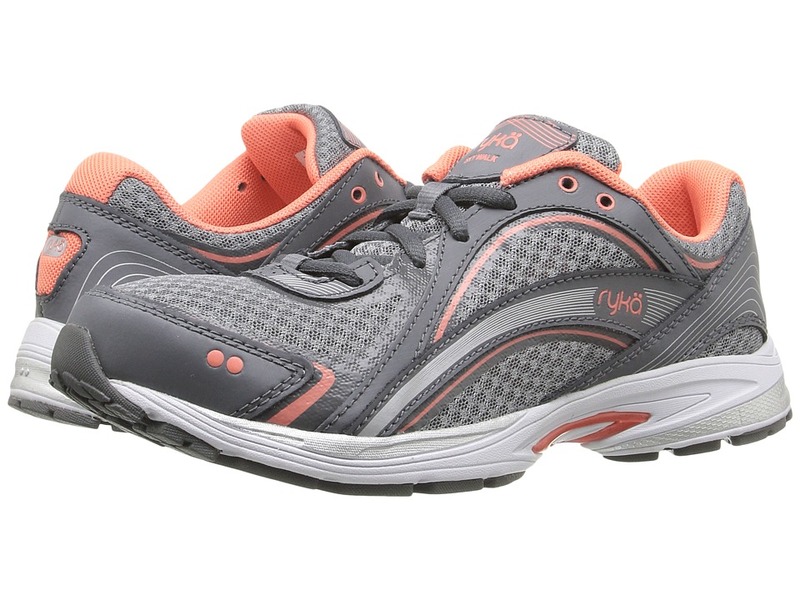 With its quick-drying upper and drainage system, the Hydro Sport hybrid water shoe from Ryk&amp#228 is the ideal shoe for all her water fitness needs! 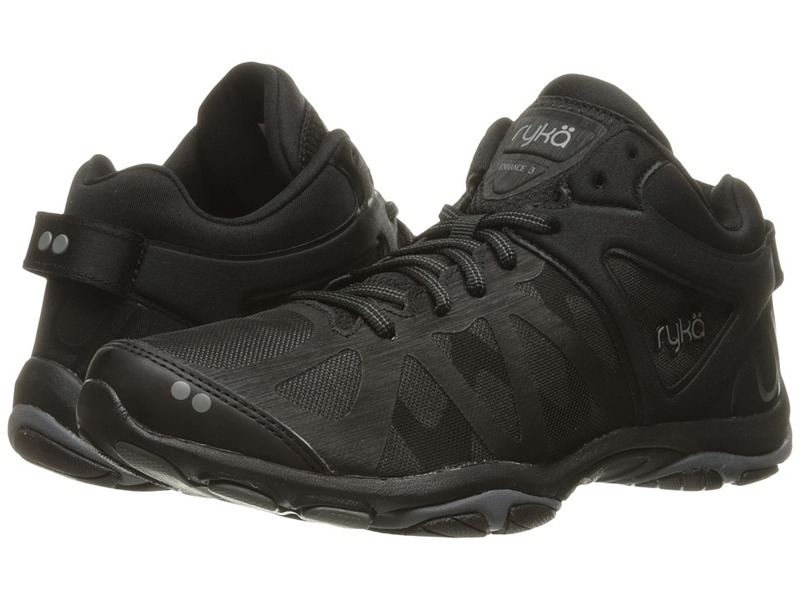 Open mesh uppers with synthetic leather on toe-tip and heel for added durability. High-contrast webbing midfoot cage provides excellent medial and lateral support. Padded collar and tongue with heel pull tab delivers a snug, cozy fit and easy on and off. Textile lining and a removable, perforated Nitracel insert. Traditional lacing closure for optimal fit. Compression-molded EVA foam with impact foam insert at the heel and drainage ports quickly moves water away from the foot while delivering exceptional cushioning. Sticky rubber outsole for better traction on wet surfaces. Imported. Measurements: Weight: 9 oz Product measurements were taken using size 8, width B - Medium. Please note that measurements may vary by size. Weight of footwear is based on a single item, not a pair. Adopting healthier habits has never been easier when you complete your gym look with the sporty-chic Ultimate from Ryka. Breathable mesh and supportive leather upper materials. Plush tongue and collar. Breathable fabric lining offers a great in-shoe feel. Precise-Return footbed supplies light underfoot comfort. 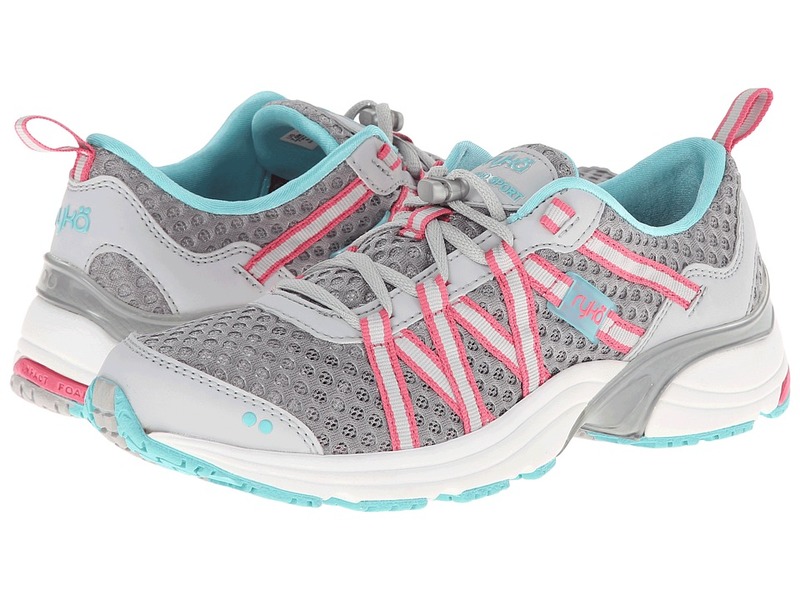 Lightweight, molded EVA midsole provides durable cushioning. TPU mid-foot shank for support. Dual-density heel crash pad helps absorb impacting shock. Rubber outsole. Imported. Measurements: Weight: 9.6 oz Product measurements were taken using size 9.5, width B - Medium. Please note that measurements may vary by size. Weight of footwear is based on a single item, not a pair. 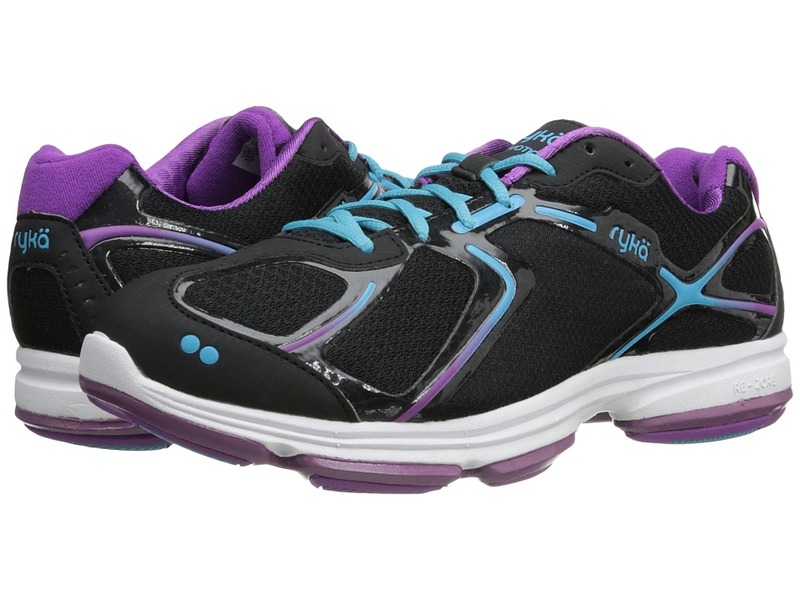 For those crazy water adventures, count on the Hydro Sport SLP water trainers from Ryka. 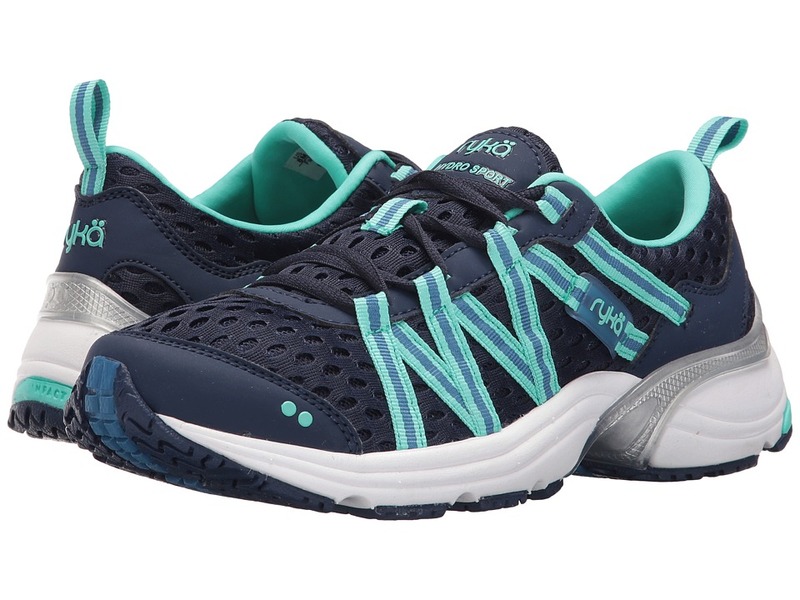 Synthetic and mesh upper in a hybrid water fitness trainer. Padded tongue and collar for comfort. Lace-up closure for a snug fit. Webbing midfoot cage provides medial and lateral support. Pull-loop at heel for easy on and off. 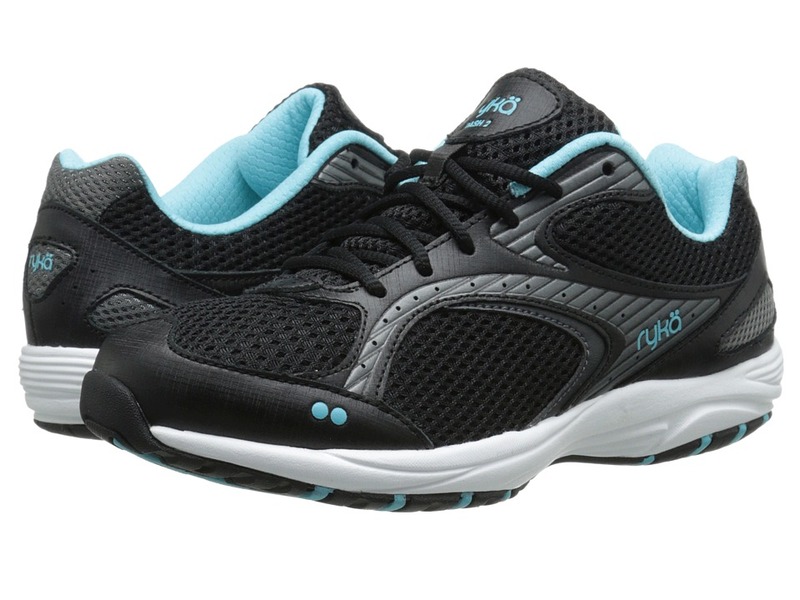 Textile lining and a cushioned removable Nitracel insole for all-day comfort. Compression molded EVA midsole with drainage ports. Sticky rubber outsole with drainage ports. Imported. Measurements: Heel Height: 1 1 2 in Weight: 8 oz Product measurements were taken using size 7.5, width B - Medium. Please note that measurements may vary by size. Weight of footwear is based on a single item, not a pair. 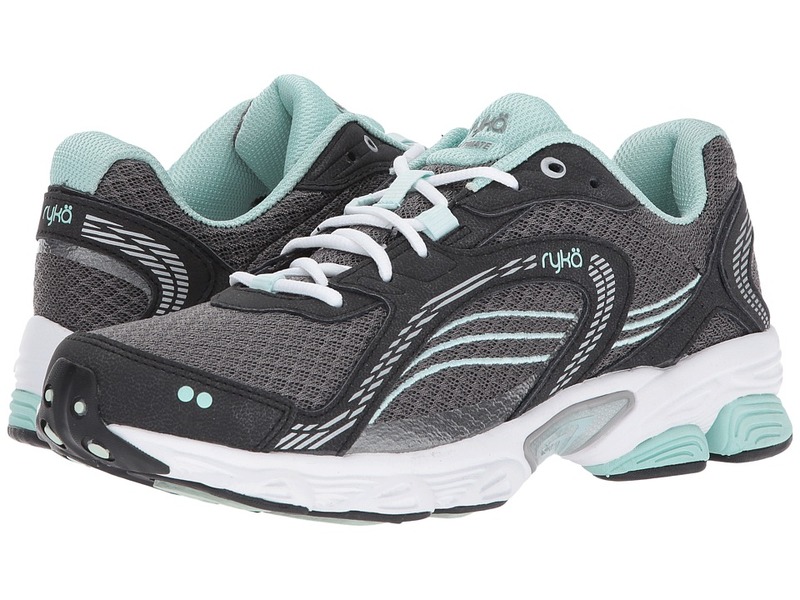 Get there in fun style with the ultra comfortable Dash 2 walking shoe from Ryka. Breathable mesh upper. Padded tongue and collar for comfort. Lace-up closure for optimal fit. Synthetic and leather overlays for durability. Smooth lining and a cushioned insole with Anatomical Precise-Return footbed. Compression molded EVA. Rubber outsole. Imported. Measurements: Weight: 9 oz Product measurements were taken using size 8, width B - Medium. Please note that measurements may vary by size. Weight of footwear is based on a single item, not a pair. 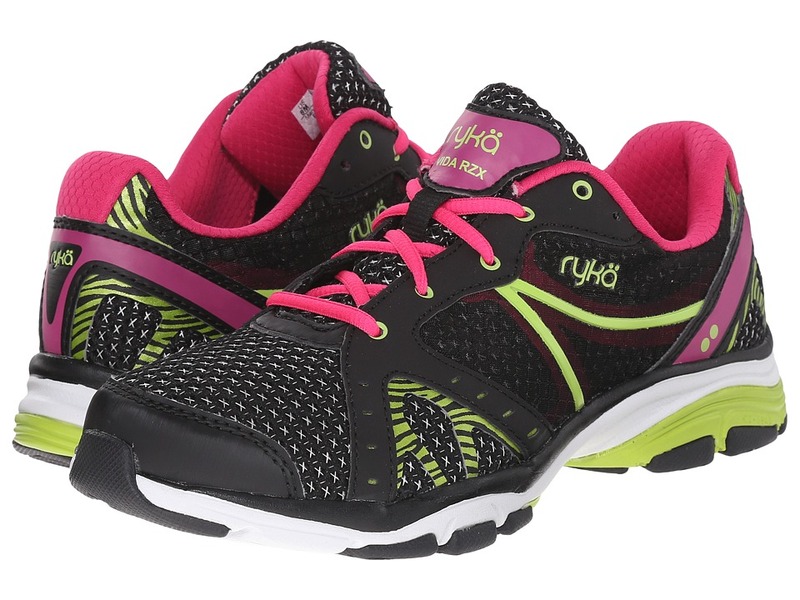 Get into tip top shape with the intensity-ready Ryka Vida RZX sneaker! Women~s training shoe. Breathable mesh upper with synthetic overlays for support. Padded tongue and collar offer a comfy, cozy fit. Lace-up closure for a snug and customized fit. Smooth textile lining and a cushioning insole with Anatomical Precise-Return footbed. Ultra flex forefoot. RZX: RE:ZORB high impact heel cushion. Rubber outsole with strategic flex grooves. Imported. Measurements: Weight: 8.5 oz Product measurements were taken using size 8, width B - Medium. Please note that measurements may vary by size. Weight of footwear is based on a single item, not a pair. 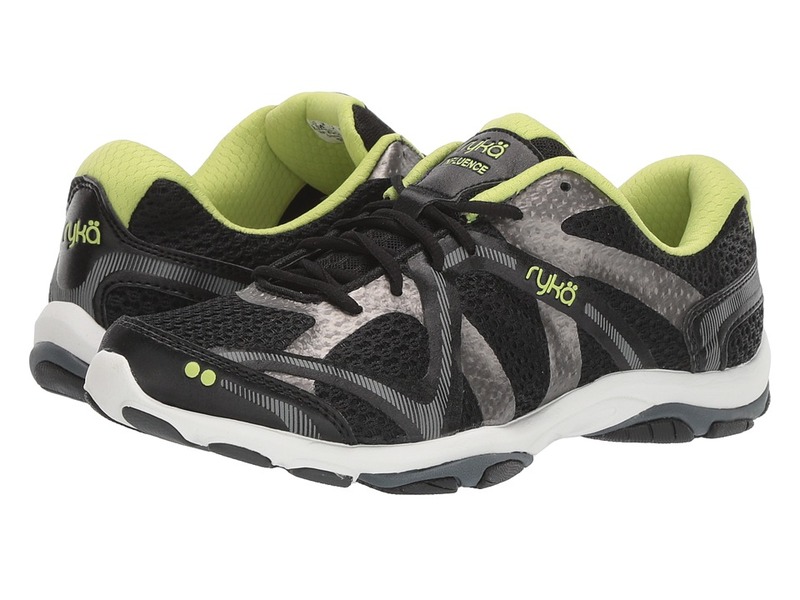 Take your sweat sesh up a notch in the versatile performance of the Ryka Enhance 3 cross-training sneaker! Mid-cut height adds ankle support. Breathable mesh, textile, and synthetic upper materials. Lace-up closure. Padded tongue and collar. Breathable fabric lining offers a great in-shoe feel. RE-ZORB sockliner. Dual-density midsole features high-rebound N-gage foam that provides extra cushioning in key areas of the heel and forefoot. Medial post adds extra arch support. Ergonomic outsole optimizes traction and support, and boasts Pivot Point for enhanced natural movements. Imported. Measurements: Weight: 9.6 oz Product measurements were taken using size 9.5, width B - Medium. Please note that measurements may vary by size. Weight of footwear is based on a single item, not a pair.